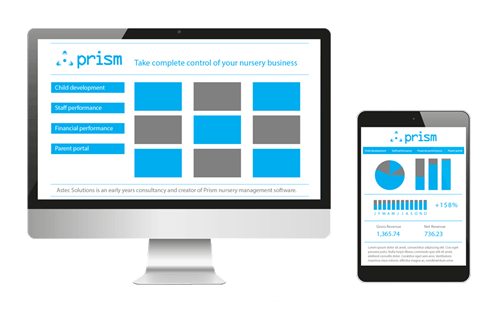 Prism nursery management software makes it easy for you to record EYFS observations and, importantly, track a child’s progress. Using touchscreen tablets, practitioners can easily record important developments with just a few taps. This information is delivered to Prism’s powerful back office in real time, which means that managers have all the information they need to understand how to improve childcare quality. There are benefits for parents too. Important information (such as daily diaries) is automatically generated and can delivered by email or through a dedicated parent portal. This means they are more engaged in their child’s development than ever before. By removing the administrative burden (no more paperwork! ), our easy to use EYFS software enables your team to spend more time doing the work they love: supporting each child to reach their potential. 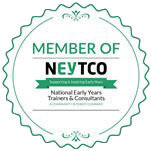 The Early Years Foundation Stage (EYFS) framework sets the statutory standards that all early years providers must meet. We can also tailor Prism to meet the needs of other curriculums such as Siolta and Aistear Early Childhood Curriculum Frameworks. Please get in touch if you’d like to know more.